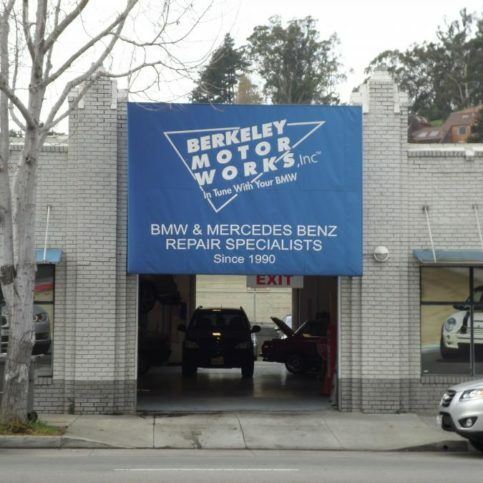 Mike Schwarzbart is owner of Berkeley Motor Works. Whether you drive a Jaguar, Land Rover, Mercedes-Benz, BMW, Audi, Volkswagen or any one of the other popular European automobile brands, you probably feel most comfortable trusting your car to an auto repair shop that specializes in repairing and maintaining European vehicles. That may be because European vehicles are known for high levels of performance, good gas mileage, safety features and longevity. It takes an experienced auto mechanic to provide ongoing maintenance and repairs that will keep your vehicle running smoothly now and for years to come. It can be hard to find a good mechanic that you trust, and even harder to find a local auto repair shop that excels at servicing European vehicles. Luckily, there are many good European auto repair shops in Alameda County and the greater Bay Area from which you may choose. 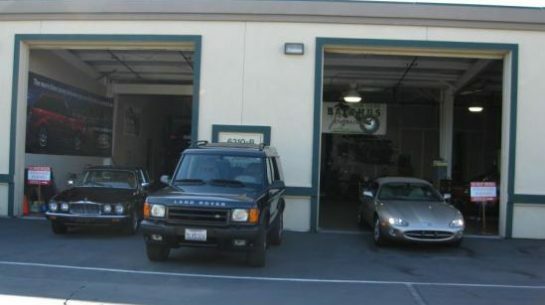 Whether you live in Oakland, Fremont, Hayward, Berkeley, San Leandro or another area, a little research should enable you to find a good British or European auto repair facility that meets your needs. How should you begin your search for a European car repair service in your area of Alameda County? Start by reading the helpful articles below. They include facts about European vehicles, tips you should know for dealing with local mechanics, and interview questions to ask the European auto repair center you’ve chosen. You are much more likely to be happy with your car repairs or maintenance services if you’ve carefully chosen the auto repair service you. Not all mechanics are created equal, and this goes for mechanics at specialty auto shops in and around Alameda County that service European vehicles. Most European auto repair shops are dedicated to providing the best auto repairs for a fair price, so most do their best to hire good mechanics. However, you may want to check up on the shops you’re considering and verify that they hire certified mechanics who are trained on and experienced in your make and model. All Diamond Certified companies have already been thoroughly vetted. But you’ll have to do the research yourself if you’re unable to choose a Diamond Certified European auto mechanic in Alameda County or your area. Start by verifying that the European auto repair centers you’re considering are licensed. All mechanics in the state of California are required to be licensed by the state Bureau of Auto Repair (BAR). You can check the licensing status of a shop by typing in the repair center name or registration number on the BAR website. Along with the proof of license, you will also see additional information about the auto repair shop and any disciplinary actions or public records associated with the shop. 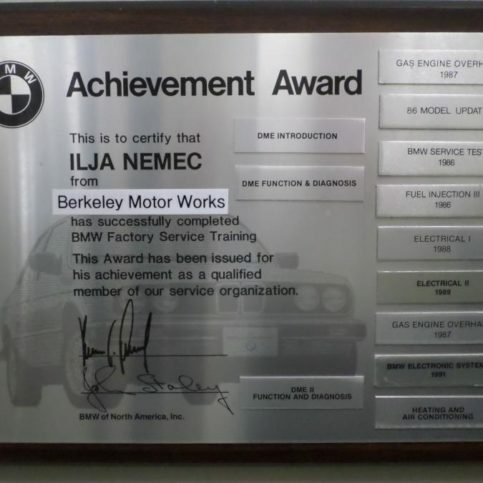 Good European automobile specialists in Oakland, Newark, Pleasanton, Dublin, and the rest of Alameda County may also have earned certification from the National Institute for Automotive Service Excellence (also known as ASE certification). 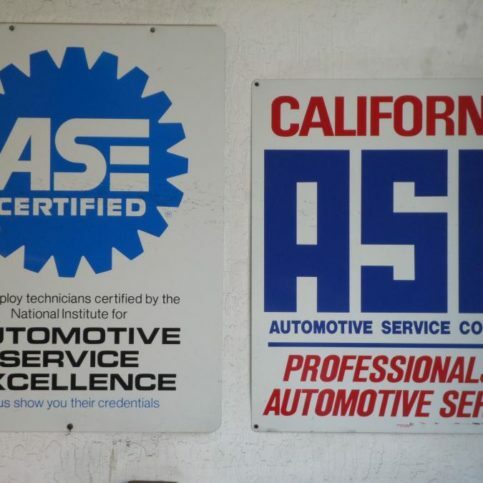 ASE certification represents years of dedicated effort in understanding the art of repairing and maintaining vehicles. 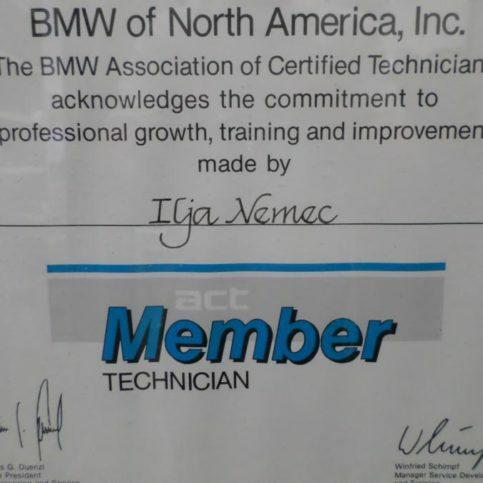 Some local mechanics have certifications pertaining to specific European brand vehicles (BMW, Fiat, Smart, Lamborghini, Audi, Bentley, Lotus, Maserati, Volvo, Saab, Mini, Aston Martin, Porsche, MG, etc.). This may be important to you if you drive a rare brand of vehicle or want a mechanic who has specialized training in repairing and maintaining cars like yours. Many European automobile specialists will cater specifically to one make of vehicle. For example, some exclusively work on Mercedes-Benz vehicles while others will only repair Audis or Porsches. Other repair centers hire mechanics that are skilled in several different European makes, or hire mechanics who each have different specialties so that the shop can offer repair services to a wider variety of car owners. If you want a mechanic who only works on your brand of vehicle, be sure to state this up front. Confirm with the auto repair shop you’re considering that they have an auto repair technician who specializes in your brand of vehicle. This may be especially important for major repairs, complicated maintenance or full-scale auto overhaul jobs. Consult specialist repair shops in Union City, Newark, Alameda, San Leandro, or in the Alameda County city near you to find second opinions on the European automobile specialist you have in mind. You should also take into account the quality and source of replacement parts used by the European auto specialist you’re considering. If quality and factory-exact replacement parts are important to you, you’ll want to look for a mechanic that exclusively uses OEM parts, or Original Equipment Manufacturer auto replacement parts. Aftermarket auto parts, while cheaper and more readily available than their OEM counterparts, may result in inferior repairs—and ultimately more repair costs. 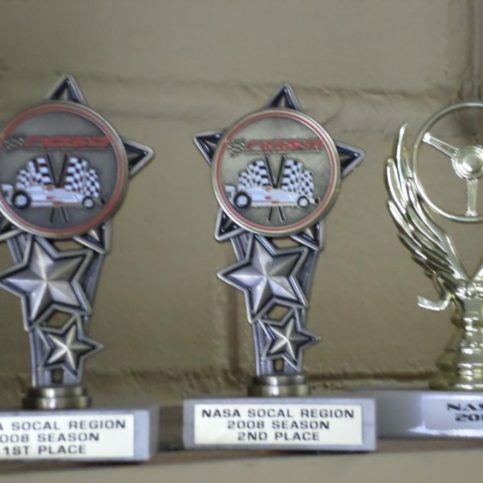 OEM parts sport a guarantee of excellence. They also exhibit long-term durability and an emphasis on vehicular safety. The exception to this is high performance parts, which are sometimes built by non-manufacturer sources. Good mechanics should be able to help you choose quality performance parts that will fit your vehicle as well as original parts and will offer the additional performance you require. You should also research any additional services you may want, including auto detailing, body repairs and customer service perks. For example, if you live a distance from your Alameda County European vehicle repair center, you may want to know if the shop offers complimentary towing for short distances, say, from San Leandro, Alameda, Union City, Fremont, Pleasanton and other areas. This can help ensure that your European vehicle is in safe hands no matter where you may experience car problems. Visit prospective mechanics before committing to a service. Your first impression of local European auto repair services is one of the best ways to evaluate the quality and customer service you can expect from the shop. 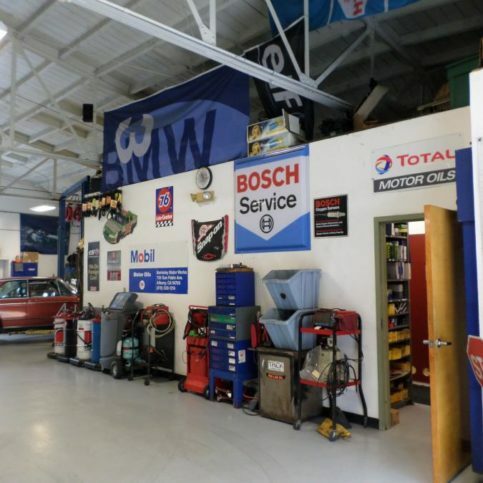 A visit to the shop can also give you a test run to evaluate the proximity of the shop to your home or work (an important factor in the case of a breakdown and to aid in the ease of dropping off and retrieving your vehicle for routine maintenance), the appearance of the shop and the location, and the courtesy of the staff. Come unannounced, if possible, to see the European car repair shop as it is run every day. You should expect a clean environment, but keep in mind that auto repairs can be messy work. Still, it should be obvious that the shop staff take care to keep the environment and the vehicles in the shop clean. The European auto repair center’s attention to customers should also be evident. You should be greeted quickly and politely, and the staff should show an obvious commitment to answer your questions and provide advice and suggestions. Policies outlining the shop’s rates and warranties should be posted in clear sight for your convenience. Why Trust Diamond Certified European Auto Repair Specialists Rated Highest in Quality and Helpful Expertise®? More than 200,000 customers of local companies have been interviewed in live telephone calls, and only companies that score Highest in Quality and Helpful Expertise®–a 90+ on a 100 scale–as well as pass all of the credential-based ratings earn Diamond Certified. By requiring such a high score to qualify, the Diamond Certified Resource eliminates mediocre and poorly performing companies. Read detailed information about the ratings process. 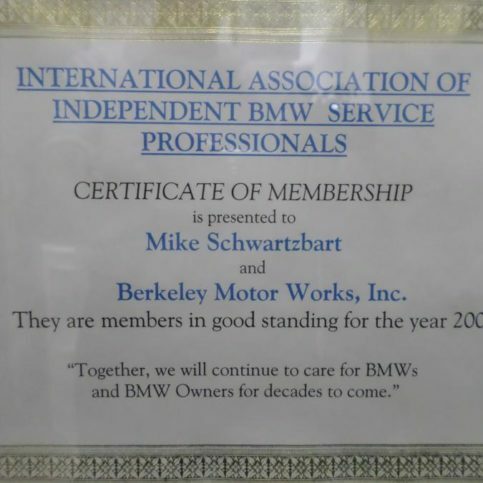 Mike Schwarzbart is a 31-year veteran of the auto repair industry and owner of Berkeley Motor Works, a Diamond Certified company since 2014. He can be reached at (510) 992-4004 or by email. A lifetime resident of the East Bay, Mike says he appreciates many aspects of his local setting. “The climate is great, we have some of the best restaurants around, and there’s easy access to nature, including several mountain biking trails, which keeps me active. When I’m not working, I like going to local venues and restaurants and just enjoying what the area has to offer.” In addition to biking and sampling the local cuisine, Mike enjoys spending quality time with his daughters, Sandy and Shelly. A: A rusted-out ’68 Mustang. A: I collect refrigerator magnets from all the places I’ve visited. I have a pretty well-covered fridge. You’ll make a better choice on a European car repair shop if you start by thinking about the exact expectations and needs you have. Perhaps you have a new vehicle and are looking for a shop to maintain it for the long-term. Or maybe you are looking for a new shop after having been disappointed by previous repair centers. 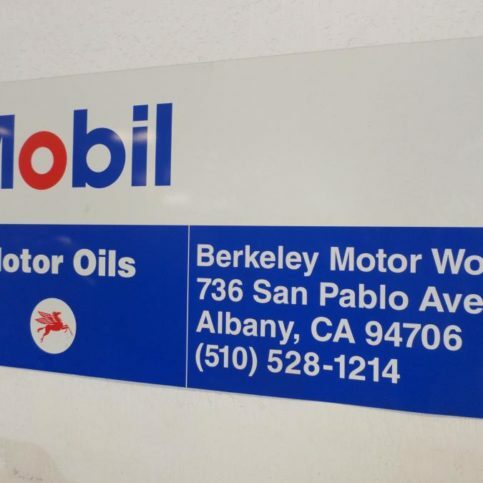 Or maybe you have decided it’s best for you and your vehicle to find a local auto repair shop in Oakland, Hayward, Fremont, Berkeley, San Leandro, Union City or your area that specializes in European makes and models like yours. Whatever your reason for needing to find a new European auto repair center, the questions below will help you define what it is you need and want from your new mechanic. Do I want a Diamond Certified European auto repair center that is rated best in quality and backed by the Diamond Certified Guarantee? Do I want to hire an auto repair shop that specializes in my make and model, or is a general European auto repair center good enough for my needs? How long has your British car/European vehicle been experiencing this problem? Does your car make strange sounds? Can you locate the source of the sounds? Have you noticed diminished performance in your vehicle over time? Do you need to add more fluids to the car more frequently than in the past? When you drive, does the car experience odd vibrations? Or does it lean to one side in particular? 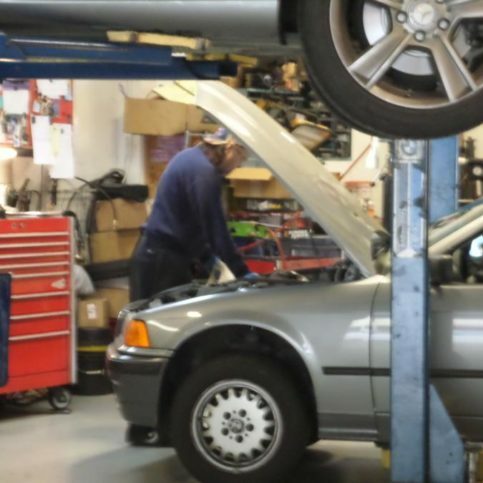 Make sure that any European car repair shop you visit, whether in Newark, Dublin, Union City, Berkeley, Pleasanton or elsewhere, has answered all of the questions you posed to them over the phone. This will help you narrow the list to only those European vehicle repair services in Alameda County or your area that offer the services you require and service your make and model. 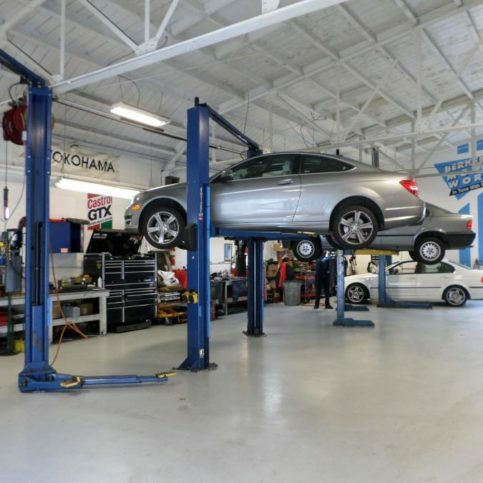 Once you are sure of this, decide which car repair center or centers best meet your needs. Then, visit each of those shops to interview the mechanic or talk with the service writer in person. You may need an appointment to do this, as many of the best European auto repair services in Alameda County are very busy, and you will want a few minutes of their undivided attention. How will you evaluate what is wrong with my vehicle? Once you know what repairs need to be made, will you call me with details? How long I can expect my vehicle to be in the shop? What if my car needs repairs that you are not be equipped to handle? (This can include warranty-only work, electric repairs, body repairs, upholstery repairs, etc.) Do you work with other Alameda County shops to finish the repair job, or will I need to arrange for those third-party repairs? Will those repairs performed by other Alameda County shops be given a warranty by your shop, or will they provide me with a separate warranty? Do you have my contact information on hand? What’s the best way to reach me for news on my vehicle’s repairs? 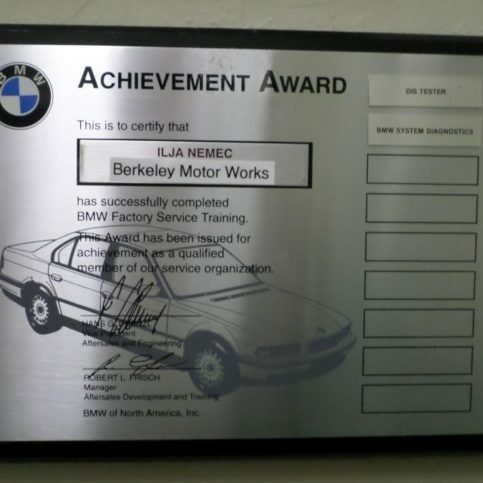 If you demand quality from a European auto repair specialist in Alameda County and the surrounding area, you can trust in the Diamond Certified designation. Diamond Certified reports are available online for every certified company. And you’ll never be fooled by fake reviews because all research is carried out by live telephone interviews of a large, random sample of actual customers. If you can’t locate a Diamond Certified European auto specialist in Alameda County for you in Dublin, Newark, Oakland, Fremont, Berkeley, Hayward or your area, you will need to conduct some research on your own. When doing so, start by contacting some references provided by your prospective European auto repair specialist. At the same time, remember that these references are not equal to the large random selection of customers who participate in the Diamond Certified ratings process. That’s because many local European auto mechanics cherry-pick the most sympathetic references to give to potential customers. When calling references on your own, always ask for a list of the shop’s ten most recent clients. This move helps you sidestep being given only the names of the most satisfied customers. Once you have names in hand, use the following sample questions and some of your own specific questions to learn as much as you can about the shop you’re considering and the European auto repair services they offer. What type of vehicle do you drive (Lexus, Lotus, BMW, Mercedes-Benz, VW, Audi, Porsche, Saab, etc.)? This may be important if you’re looking for a European car repair shop that specializes in your make or model. 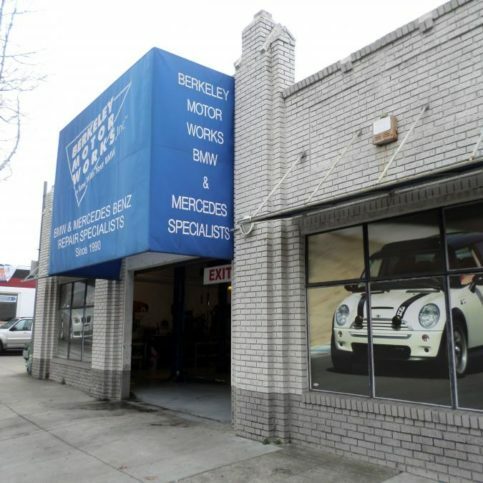 What repairs did [insert Alameda County British auto repair shop name here] do for your car? Were you happy with the repairs to your vehicle? Was the shop willing to tow your car to their shop’s garage and/or provide a courtesy vehicle if you required those services? How would you rate the turnaround time on repair work? How well did the shop’s mechanic and staff communicate with and listen to you? Was the price fair for the European auto repair work completed? 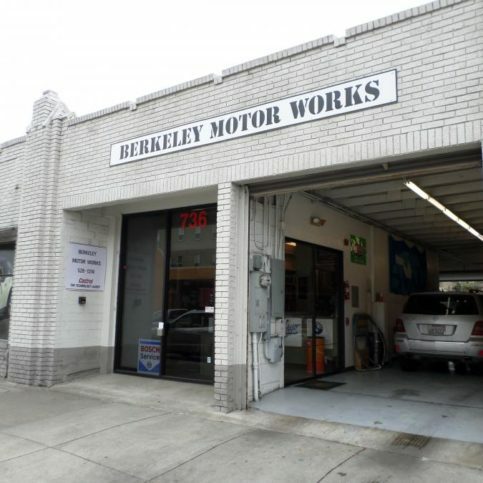 What most pleased you about your experience with this Alameda County British car repair shop? Would you ever return to this European auto shop if your car needed more work? Would you recommend this shop to others? You may feel pressured to pick whichever Alameda County European auto repair shop is closest to you if you experience car trouble. But picking the first European vehicle repair specialist may result in lower quality repairs or less of a commitment to customer service than you want. To avoid this, invest time now in locating the best European auto repair shop for you. Developing an ongoing relationship with a shop now will help you feel secure and confident when you do face car trouble or need more costly auto maintenance. Research and interview some European auto specialists in Alameda County when your car needs simple repairs or annual preventative maintenance. Talk with the mechanics and build a rapport with them so you can count on them when your car requires more extensive (or expensive) work. Try to visit the same European car repair shop for all of your car’s maintenance needs. This will enable the shop develop a record of your particular car and its previous services, and help you save money on repairs in the long run. To pick the best European auto repair garage for your needs, review the notes you took during the phone and in-person meetings with the auto shop staff. Look for the one shop that stands out from the rest. Can a European auto repair specialist in Alameda County accommodate your needs for scheduling the repairs your vehicle needs? 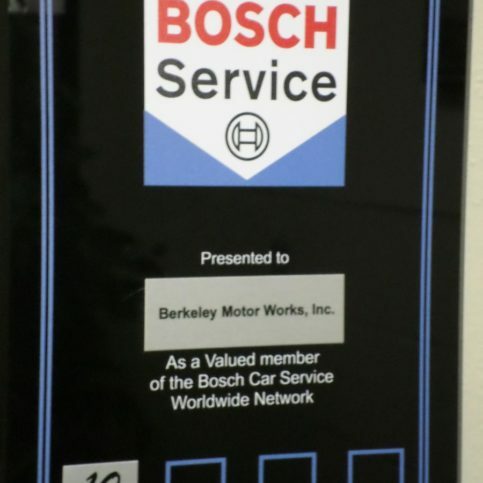 Will the British car repair services in Alameda County and beyond honor your requirements of OEM parts and top-tier customer service? 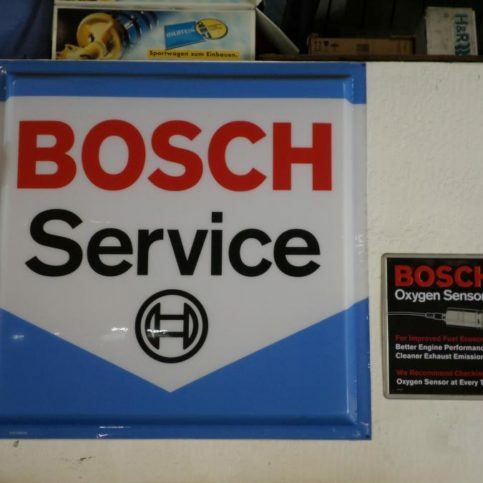 Does the shop’s service writer communicate well with you? Is this auto repair specialist focused on returning your car to the road as safely and quickly as possible? 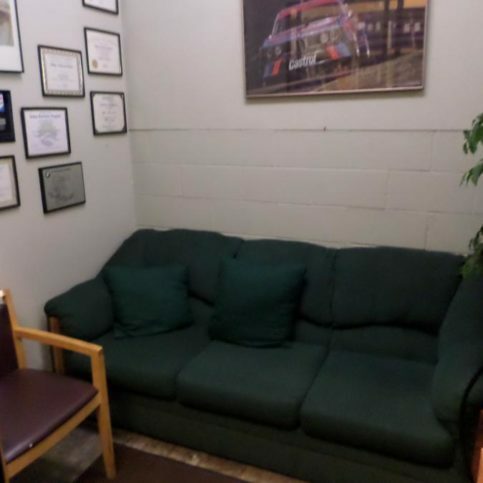 At which European auto repair shop do you feel most comfortable? Maintaining your European vehicle can be costly, but not nearly as expensive as buying a new vehicle. So it makes sense that you’d want to take every step possible to keep your car running safely and well for as many years as possible. Still, you want to find an honest mechanic to service your European vehicle or British car—one who charges fair prices for good work. You’ve found a good European car repair specialist with whom you have a comfortable rapport, so now it’s time to ensure you’re getting a fair estimate your car repairs. Begin with talking to the service writer about the car trouble or routine maintenance your vehicle needs. The notes you’ve taken throughout the process will help you pinpoint the exact trouble you are experiencing with your vehicle. Give as many details as you can, and don’t rush the process. Every bit of information you can share may save time and effort on your mechanic’s part and may result in you paying less for more accurate repairs. Next, give the service writer a chance to share his or her opinion or thoughts. Listen closely and clearly answer any questions. You deserve a clear explanation of the car trouble and the ways it can be fixed. So if you don’t understand what the service writer or mechanic is telling you, ask for clarification until you completely grasp all of your options. By law, you must see and sign a written estimate before the European auto repair shop begins any work on your vehicle. This estimate must present the entire cost of all labor and parts, including an itemized list of every required part and the repair method. Never sign a blank estimate or work order. Good repair shops may need take a closer look at your car before offering a diagnosis. In this situation, the estimate they present to you may only include the cost of diagnostics and the estimate of the cost of repair. However, the repair staff must contact you before they can proceed with their work if the actual repair is more expensive than the original estimate. In most cases, you can authorize the additional work over the phone. To make the repair services official, you’ll need to sign your estimate along with a service agreement. Ensure that the European car repair shop has a cell phone number or other contact number where you can be reached while your car is in the garage. They will need to contact you for any additional work or with questions, so it is imperative they can reach you at all times. The repairs can stall and may take longer than expected if there is a lag in communication or the repair shop can’t reach you for needed authorizations. You are legally entitled to have your old auto parts returned to you, but you must make this request before work begins. If it is important to you to see the old parts or to take them with you after they’ve been replaced, write this into the service agreement you sign and be sure your service writer and mechanic know you expect to have the old parts returned. Remember, though, this may not be possible if the European auto repair shop is performing warranty repairs. In that case, they may need to return the parts to the manufacturer or dealer. You still have the right to see the old parts, though, and they should be made available to you if you’ve requested that. You may also want to ask to have the odometer reading taken at drop-off and pick-up. This will verify a test drive has been done (if promised) and that the car has been driven the appropriate distance while in the shop’s care. How Can You Be a Good Customer for Local European Auto Repair Specialists? Being a good customer benefits both you and your Alameda County European vehicle repair service. European auto repair specialists appreciate customers who are straightforward, honest and easy to work with. Your good customer behavior sets the tone from your end and creates an environment conducive to a good relationship. Your experience may very well go more smoothly, and any trouble may be more easily resolved. It’s your mechanic’s job to install quality parts in your vehicle using the best possible installation techniques. But you also play a big part in the success of your European car’s repair. And chances are that you will be much happier with the results if you take an active role in your vehicle repairs. Be clear and upfront with your European auto repair mechanic. Let them know what you want from your experience with them, the long-term outcome you’re expecting and specific ways they can satisfy your expectations. Remember, a friendly smile goes a long way in fostering and maintaining a good working relationship. Before you hire a European auto specialist in Alameda County, restate your expectations and goals, and clarify to the service representative your understanding of the agreement. Most issues with European auto repair happen due to a breakdown in communication. By being clear about your expectations and theirs, you can avoid most conflicts. Ask your service writer or garage staff if you should call to check on the progress or if he will call you with updates. Be sure your service representative has a phone number where they can reach you at all times while they’re at work on your vehicle. The work will move along more smoothly if your service writer can reach you for any necessary updates, questions or work authorizations. When your Alameda County European auto repair center contacts you, return calls promptly to keep the repairs on schedule. Pay for the completed repair work promptly or as scheduled. The European vehicle repair shop’s name, physical address, and their auto repair registration number. An itemized list of every replaced part, including the nature of each part (new, salvaged, used, reconditioned, etc.). The total cost of the repair, including an itemized amount charged for labor. All relevant fees for hazardous waste disposal, plus the repair shop’s EPA (Environmental Protection Agency)registration number. Your vehicle’s odometer reading when dropped off and when picked up, if you had requested this reading before signing the service agreement. Again, it’s your right to have the original parts returned to you—but only if you had previously requested them before signing the service agreement. Mechanics may not be allowed to return to your possession car parts under warranty, as they may need to return them to the manufacturer, but you should still be allowed to see them and inspect the wear or damage. Never exit a repair shop without having confirmed any and all warranties provided from the shop or parts manufacturer. Not every European auto repair shop in Oakland, Fremont, Hayward, Berkeley, San Leandro, Alameda, Union City, Pleasanton, Newark, Dublin or other Alameda County cities will offer such a warranty. The physical address and name of the Alameda County European auto repair shop. Your responsibility in the event of a failed repair job. The steps you must take to redeem any warranty coverage. Can you transfer the warranty to a new owner if you sell the car? 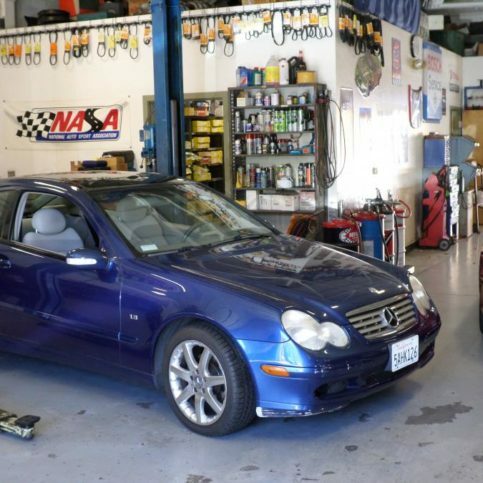 European auto repair specialists in Alameda County are equipped to handle an array of vehicle maintenance needs and repairs for popular British and European makes and models. One of the distinguishing features of European cars, and their stick shift driving modes, is the unique structure of the clutch on their transmission. Problems with the clutch can result in screeches, clutch slippage, and even engine trouble. Many models of Volkswagen, Saab, Mini, and Mercedes-Benz vehicles all require regular clutch care. If driven hard, Land Rover, BMW, Audi, and Jaguar models may also require an eventual full-scale clutch replacement from a European car specialist. Replacing car windows is yet another common request made of European auto mechanics in Alameda County. European cars can sometimes attract unwanted attention and accidents due to their value and appearance. Window and windshield repairs for European cars may be covered by auto insurance plans. Vehicle owners should specifically request that only OEM parts be used for the repairs and replacement, as European vehicle windows and windshields may fit differently than standard domestic vehicle glass. This type of service is better known as the regular checkup or tuneup that a vehicle’s manufacturer will advise for the car’s care. Typically, such routine maintenance will take place at intervals of 30,000, 60,000 and 90,000 miles on the odometer. Checkups and tuneups for European vehicles usually include inspection and replacement of air and fuel filters, spark plugs, and cabin filters. The oil should also be replaced as needed. Alameda County European car mechanics should also examine auto fluid levels, the engine, and the exhaust and electrical systems to ensure proper wear. Investing in routine vehicle maintenance can prevent the need for more serious and costly repairs down the road. European vehicles have always been noted for the sophistication of their electrical systems. This can sometimes translate into the need for repairs to a car’s electrical features. For the best performance, European car repair specialists advise that electrical wiring should be checked every two years and whenever driving problems surface that relate to wiring or the vehicle’s electrical system. Throughout Union City, Pleasanton, Dublin, Newark, and the entirety of Alameda County, brake repairs are a frequent demand. Brakes erode over time, even those brakes on European cars that are constructed so well. The majority of brake issues are fixed with an inexpensive replacement of the brake pads. Always check your brakes often, especially if: the brake pedal feels hard when stepped on; the brake pedal feels spongy or loose; the brake warning light is always on; or if you ever hear squeaking or grinding when you brake the car. Changing the brake pads, though simple enough, may not ultimately be enough to correct trouble with car’s braking system. An expert in European auto repair can indeed let you know when a full scale replacement of the brakes is necessary. Such a replacement will often involve replacing the brake discs, drum, and rotor—expensive yet essential parts to address. 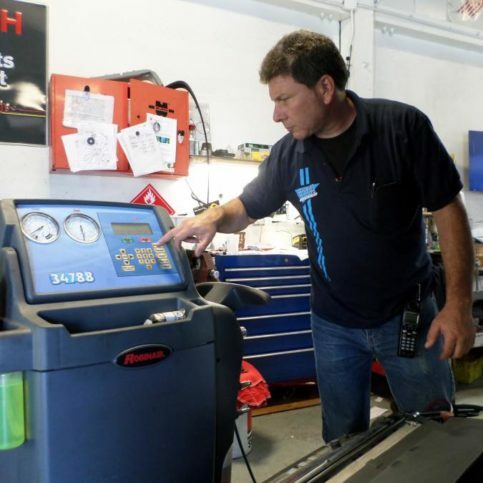 Mobile mechanic services are growing in demand in Alameda County and the rest of the Bay Area. These car experts travel to your home or business to repair your vehicle, saving you the time and hassle of driving to the local repair shop. Keep in mind, minor repairs and maintenance services are those most easily offered by mobile repair services, and major repairs or diagnostic work will still probably need to be done at a mechanic’s shop. The inner workings of a car include several belts and hoses, including the drive belt, serpentine belt, heater hose and fuel hose. These components help to maintain the smooth operation of your vehicle. Warning lights, an overheated engine, leaks, and odd squeaks can all signal trouble with these car parts. Cars frequently driven with less than a quarter-tank of fuel may sometimes suffer from clogged fuel tanks. Fuel filters can also back up; the engine can overflow and produce choked noises. Well-trained European auto repair specialists are best equipped to address the particular needs of European cars in these situations. Problems regarding a car’s engine often begin with the illumination of the “Check Engine” warning light. If that light goes ignored for too long, a car’s owner may experience more aggravated symptoms of a problem, from a sudden drop in the vehicle’s performance to sputtering noises and a failure to start the car’s ignition. 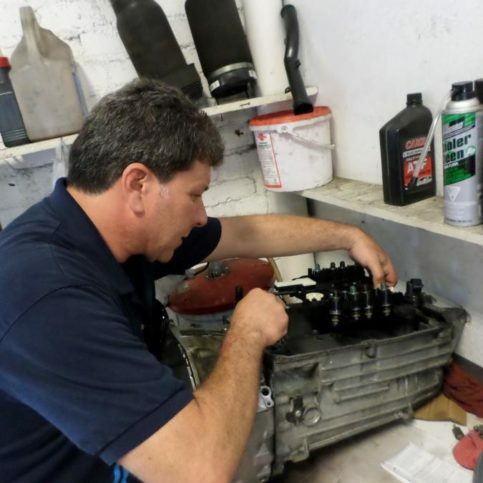 Engine issues can arise from so many sources, making it essential that a vetted expert check out the problem. Here are some of the more important words for you to know in order to successfully manage your car’s automotive repair. You are more likely to get the repairs you need and be happy with the results if you understand the terms used by your European auto repair service in describing the problems and solutions. Auto air filters are thin paper or synthetic filters that collect dirt and debris as air circulates in the engine. Air filters for European vehicles should be changed before they become clogged and restrict air flow. How often you need to do this varies depending on how you drive and the places your vehicle is driven. For example, cars driven mainly in cities and on freeways may only need to have their air filters changed every year, or every 15,000 miles. Vehicles driven in the country or on dirt roads may require much more frequent changes. Any car parts not produced by the original manufacturer. They are made to function like OEM parts, but often cost less. Beware of cheap aftermarket car parts, as these may not wear as well or fit as tightly as original parts. Most European auto repair services recommend OEM parts rather than aftermarket parts whenever possible to maintain the quality and value of the vehicle. A car repair service that is hired maintain and repair clients’ vehicles. European auto repair shops maintain and repair European vehicle brands, including Volvo, Smart, BMW, Maserati, Mercedes-Benz, Jaguar, Mini, MG, Ferrari, Lamborghini, Bentley, Audi, Saab, Aston Martin, Fiat, Porsche and Rolls Royce. A vehicle between 20 and 40 years in age, according to the standards of the Classic Car Club of America. Some popular classic European cars include Alfa Romeo GTZ, Ferrari 308 GTB, Porsche 911T, Mercedes 300SL, Mercedes 300 W 186, BMW 635 CSI, Ferrari Berlinetta Boxer, Aston Martin DB4 Zagato, Austin Healy 3000 MkII and Jaguar XKE. The transmission device which transfers the engine’s power between its components. Clutches are a characteristic feature of European cars, such as the Porsche and Alfa Romeo. The vehicle’s undercarriage, where all the powertrain and suspension components are located. Sometimes just called the crank, this part of a car’s engine ensures that the pistons are rotating properly. Any car which is manufactured in Europe. Commonly known European cars include Mercedes Benz, BMW, Volvo, Audi, Ferrari, Porsche, Volkswagen (VW), Mini, and Jaguar. The gases ejected from a car’s engine in the form of waste. An auto repair shop that specifically concentrates on maintenance and repairs for cars not built in the United States. Driving system that focuses on the car’s front two wheels, in either automatic or manual shift. This is a standard practice for auto maintenance, in which a car’s oil is changed, and the fluids of the engine, transmission, radiator / cooling system, battery, brakes, window washer, and air conditioning system are also assessed. The amount of energy that a car’s engine can produce. Any car that provides desirable yet not entirely necessary features at a higher cost than other vehicles. Well known luxury car brands frequently come from Europe and include Alfa Romeo, Aston Martin, Mercedes Benz, BMW, Jaguar, and Volvo, among others. The name of the car’s brand or manufacturer, i.e. Audi, Jaguar, Porsche, Citroen, Seat or Volkswagen. The name of the specific type of car. Examples include Volkswagen Jetta, BMW 3-Series, BMW 5-Series, Mini Cooper, Mercedes-Benz E-Class, Mercedes-Benz C-Class and Audi A5. OEM stands for original equipment manufacturer. OEM means that auto parts used for a repair job were made by the car’s actual manufacturer. They are pricier than aftermarket parts, but they are a better fit for the car, more durable, and usually include warranty coverage. Most European auto repair sources recommend OEM parts to keep vehicles running as the manufacturer intended. A term that refers to the car’s engine and transmission, which power the car. “Revolutions per minute.” The speed at which the crankshaft of the engine turns. This is an auto part recycled from another car. Frequently cheap, these parts rarely have warranties and can’t be guaranteed. For rare or older European cars, salvaged parts can sometimes be a last option for hard-to-find parts. A long belt that helps several components of an engine to work, including the air pump, water pump, power steering pump, and alternator. Better known as shock absorbers.” These parts work with the brakes in order to soften how a car rides. Experts recommend replacing shocks once every 50,000 miles. Manually operated transmission, with the shift lever set on the steering column or the floor; a common fixture in European vehicles. An integral part of any vehicle, especially for those with front wheel drive. Located near the front of a car’s undercarriage, struts feature coil springs, spring seats, a strut bearing, and the steering knuckles, in addition to the shocks. The belt is covered in teeth, operated by the crankshaft. Timing belt problems typically include improperly open valves, which can be bent out of shape by the engine’s pistons. The complex of gears, shafts, and the like that transmit a car’s power from its engine to its driving wheels. A car’s underside that provides a supportive framework for the vehicle’s parts. The interior features and design of a car’s interior, particularly its seats and flooring. Q: Why choose a Diamond Certified specialist in European auto repair services? A: Diamond Certified helps you choose a European auto repair specialist with confidence by offering a list of top rated local companies that have passed the country’s most in-depth rating process. Only European auto specialists rated Highest in Quality and Helpful Expertise® earn the prestigious Diamond Certified award. Most companies can’t pass the ratings. American Ratings Corporation also monitors every Diamond Certified company with ongoing research and ratings. And your purchase is backed by the Diamond Certified Performance Guarantee, so you’ll feel confident choosing a Diamond Certified specialist. Q. Aren’t repairs to European cars expensive to maintain? Why shouldn’t I just go for the cheapest mechanic to fix my car? A. European cars are notoriously pricey when it comes to auto repair and even auto maintenance. This is primarily due to the sophisticated nature of the parts required for these cars, in addition to the tools required to work on them. Cutting corners on the quality of your car’s parts or the mechanic you choose may seem an attractive money-saving option—at first. But remember that the long-term value of your vehicle can take a hit if you fail to properly maintain your vehicle or rely on a cut-rate auto repair shop for repairs or maintenance. Take the time to research and locate the best trained and equipped mechanic you can for your car, and take your vehicle in regularly for tuneups and maintenance. This simple action can help stave off more expensive car repair needs. And if indeed such a repair job becomes necessary, a well-qualified mechanic can ensure that the job is done right, so that your car won’t have to come into the garage for additional work, and saving you money in the long run. Q: What are my rights as a consumer in California when it comes to European auto repairs? A: The Automotive Repair Act of 1974 gives all customers the right to a written estimate for all repair work, detailed invoices that itemize work done and parts supplied, and the return of the old auto parts if customers so request their return during the work order. For more information, visit the Bureau of Auto Repair website. Q. Is there a difference between independent European auto repair shops and dealership repair shops? A. Yes, there is. Independent mechanic garages can choose any types of parts they like for repair jobs. These shops also have lower hourly charges for labor, which could translate into savings for owners of European autos. Some local for European car dealership repair shops are known for having well-trained, experienced repair specialists. These professionals are vetted over years to perfect their skills in maintenance and repairs in specific European car makes and models. If your car is new or recently purchased, still under its warranty, some repairs may be done either for free or at low cost at a dealership. Be aware that work on a warrantied car done by an independent repair shop could actually void your car’s warranty. 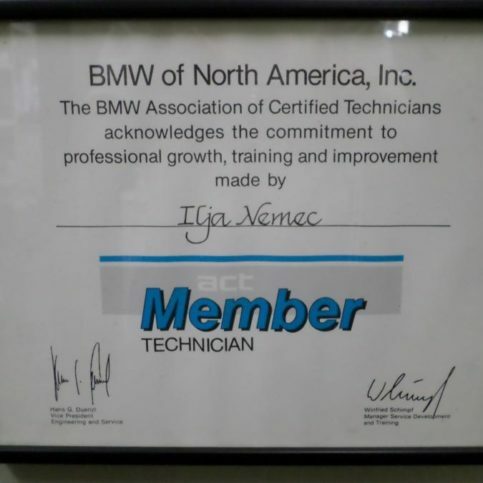 Q: Is it a wise to pick an auto repair shop that has certifications? A: Certifications don’t ensure you’ll get receive repairs or higher quality service at local British car repair centers. But they can indicate how serious an auto repair shop is about pleasing customers and executing trustworthy repair jobs. 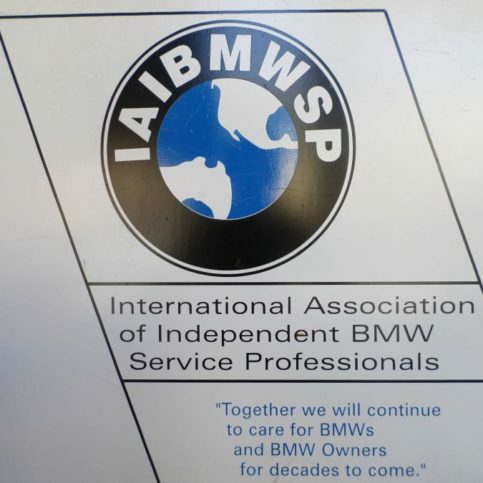 Certifications like ASE (Automotive Service Excellence) and memberships in automotive service organizations prove that car mechanics have sought and attained a higher level of professionalism. Q: What are OEM auto parts? A: OEM parts are created by the same manufacturer that produced the original auto parts in your car. Most automobile manufacturers do not manufacture auto parts. They depend on outside companies to design and produce these parts. After a certain time, these OEM parts are available for resale through wholesale distributors. Once available through auto part wholesalers, OEM parts are often much less pricey than those sold through the dealer.